We're devastated to report the tragic passing of beloved father, climber, and Mountaineer Steve Biem. 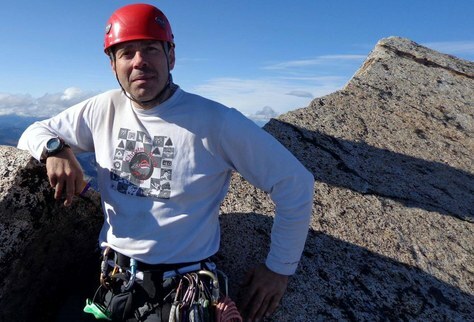 With great sadness we share the news of the passing of Steve Biem, a cherished member of our Seattle Branch climbing community and beloved father. He succumbed to high-altitude pulmonary edema (HAPE) at Camp II on Ama Dablam this morning, after summiting with a team yesterday afternoon. Steve has been a member of our community for 12 years and was a leader in our Seattle Branch, volunteering as a climb leader on five climbs this year. A public memorial has been scheduled for December 9, 2018. Since becoming a climb leader in 2007, Steve has led over 100 trips into the mountains, teaching others to climb and enjoy the great outdoors. Together with students, he's summited all of the major volcanoes, plus Prusik Peak, The Tooth, and Mt. Shuksan, Colchuck Peak, and Kangaroo Temple, just to name just a few. Steve is a clear and effective communicator, and he's also very experienced. I appreciate all of the tips he shared with us. Steve was very accommodating. He is very knowledgeable and has an excellent and fun teaching style. Steve was super flexible in finding alternate destinations when it became clear that conditions were questionable at the original destination. The trip would probably not have happened without this. Steve picked the route based on the experience of the people in the group. I had never climbed a route like this one, but it always felt safe. Awesome leadership by Steve! Steve is a very experienced mountaineer, I always enjoy trips he leads. We really practiced Leave No Trace on this trip. We carried everything out and more: Steve even hauled out a mess of fallen balloons. Steve is the man - I really enjoyed the time with him and would love to get back on another climb together. Steve loved spending time outdoors with his students, and he truly embodied the Mountaineers' spirit of community and mentorship. His Facebook profile is full of photos of him enjoying time with others in the mountains, and he inspired and coached countless students to find their way in the mountains. Our deepest sympathies go out to Steve’s family, especially his daughter Jazz, the Seattle climbing community, and the other members of his Himalayan expedition. Steve was a close friend and colleague to many of us, and we will be offering support to those impacted as our community comes together process the grief of this traumatic event. A public memorial for Steve will be held on Sunday, December 9, 2018 from 2:30pm-5:30pm in our Mountaineers Program Center (Goodman Auditorium). Appetizers and refreshments will be provided. Please note the family has requested no balloons. A GoFundMe campaign has been established to help provide support to Steve's daughter, Jazz. Please consider making a contribution in Steve's memory. Thank you to everyone who joined my family and friends to celebrate the life of my father, Steve Biem. To know that so many people cared and loved him makes me proud to call him my father. Please keep him in your hearts as his spirit will be watching over us in the mountains. I would also like to express my most sincere gratefulness to everyone that contributed to assist me with final expenses. This is heartbreaking. Steve was a friend, and he was one of the finest students I ever worked with prior to his sterling service as a leader and a volunteer. My condolences to his family. I am so sad to hear this news. Steve was a wonderful person and a delightful climbing companion. 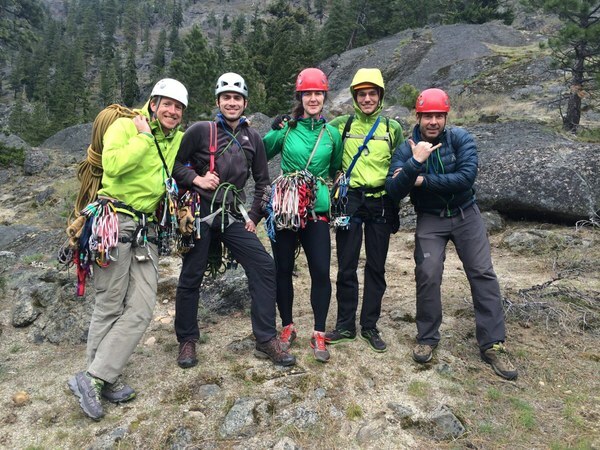 I feel fortunate that our paths crossed briefly through the Mountaineers climbing program. My heart goes out to his friends and family. Steve's commitment to his students and love for the mountains will remain with me. Condolences to his family. I just read this and I am surprised and sad. Steve was a great climbing partner and a mensch. A good person. I will miss him.